The spirit of revolution is alive & well in Mexico, and celebrated with a national holiday each November 20. I’ll add more to this post later. In the meantime, check out the photos below and then see this photo essay about the women who helped win the Mexican Revolution to learn more about this important national holiday. 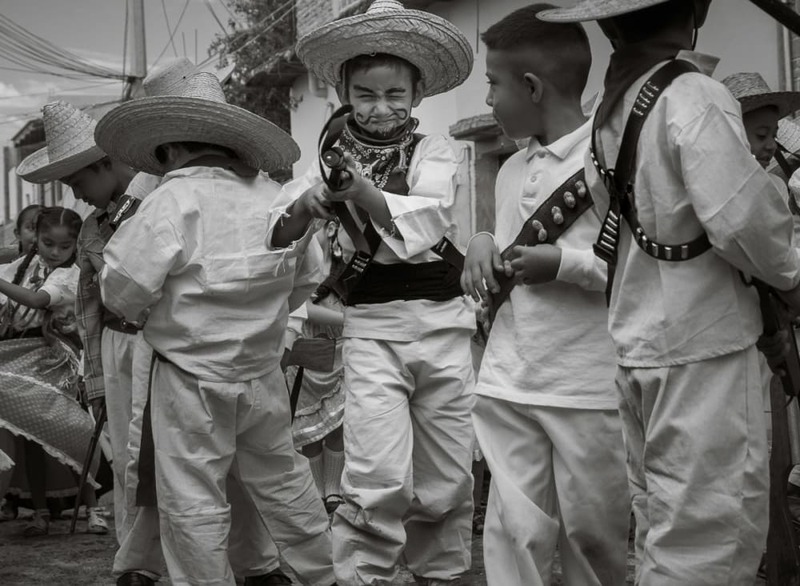 A boy dressed as a soldier of the Mexican Revolution during a parade on Revolution Day in Ajijic, Jalisco, Mexico. Adelitas hold a banner to represent their elementary school during the November 20 Revolution Day parade in Ajijic. An adelita waits for the parade to start on Revolution Day in Ajijic, Mexico. She was fleetingly annoyed with something. A cowboy watches the Revolution Day parade go by in Ajijic, Jalisco, Mexico. Elementary school students hold a banner that reads, “Where are they? We’re missing 43,” asking about the 2014 disappearance of 43 students from the Ayotzinapa Rural Teachers’ College. During the Revolution Day parade, school kids will hold banners depicting scenes from Mexican history. This one shows the 1913 assassination of President Francisco Madero and Vice President José Pino Suárez by military officer Victoriano Huerta. Huerta went on to serve as President of Mexico for 17 months. A boy laughs uncontrollably during the desfile for Revolution Day in Ajijic, Jalisco. A boy uses a toy drum during the Mexican Revolution Day parade in Ajijic, Jalisco, Mexico. Kids, dressed as heroes of the Mexican Revolution, dance in the street during the Revolution Day parade in Ajijic, Mexico. 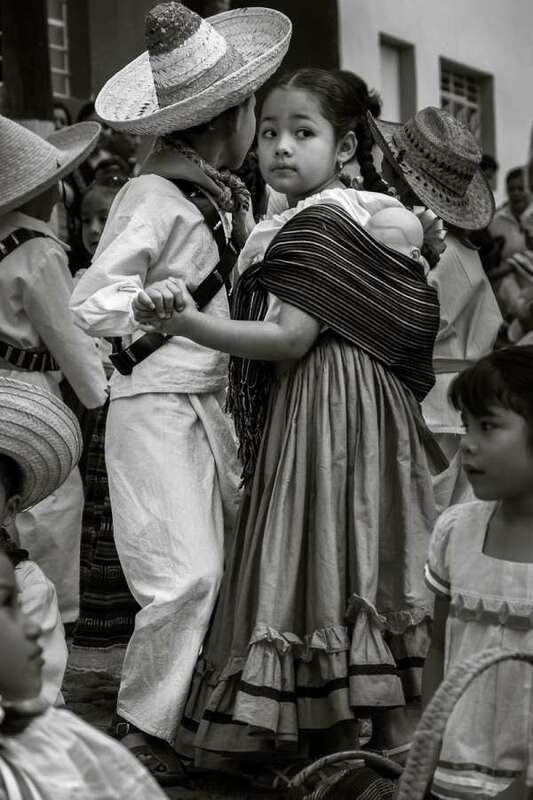 Kids dance in the street during the Revolution Day parade in Ajijic, Mexico. A children’s marching band on Revolution Day in Jalisco, Mexico. 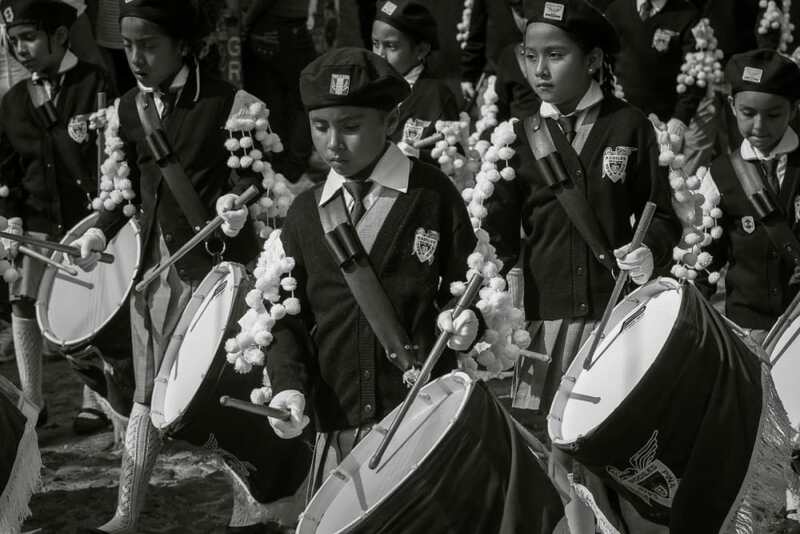 Girls play the snare drum in one of the youth marching bands that accompanies the Revolution Day parade around the streets of Ajijic. A boy, caught up in the fun, pretends to shoot the photographer. He was promptly scolded by his mother, who like many mothers are nearby to follow their child in the parade.